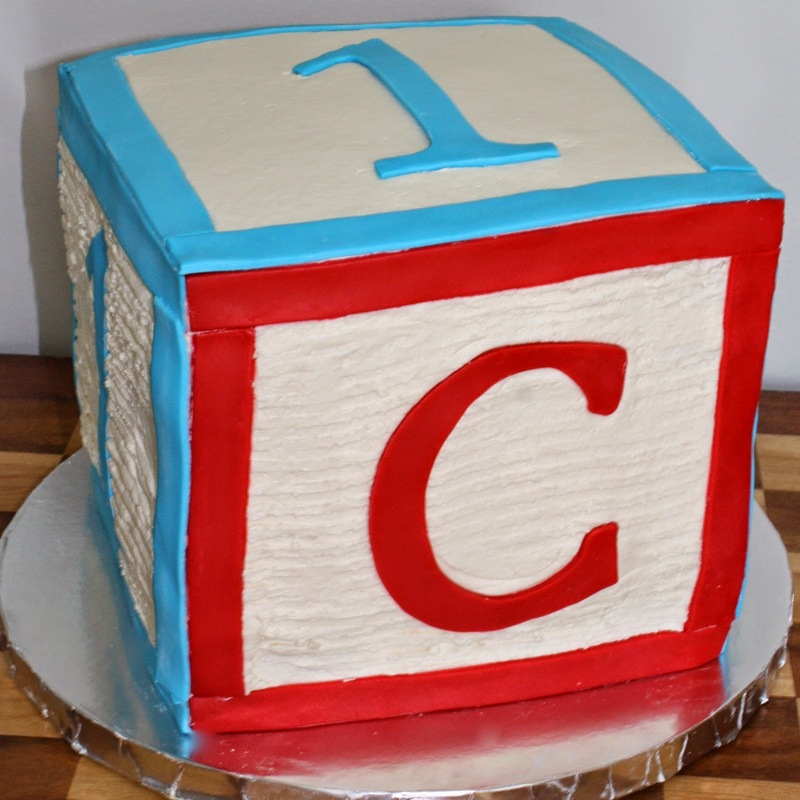 This cake was for a little boy's 1st birthday. It was over 8 inches tall and fed 40-50 people. The cake was vanilla cake with vanilla buttercream and fondant decorations.